Before we get on to the main reason for this post, a little update on the next set of releases: the figures are with the mould-makers and I should get the master castings back next week. Once I've prepped these, I'll return them for production moulding and casting. So not long now! Right, below is the first completed pose for the Faceless Oppressor Trooper pack. There will be three poses in this pack and the full launch range is described HERE. As stated previously, the gun and head are separate, allowing for posing of the head and different weapon options to be used. Since my last post, I have changed the design of both the Laser Rifle and Assault Rifle. The laser rifle trooper is seen above. I feel these designs are much stronger and more in keeping with my desired aesthetic for the range. In an audacious refusal of popular opinion (see the Facebook poll...) I am now tending toward the laser rifle as the standard weapon for the Faceless Oppressor troopers. 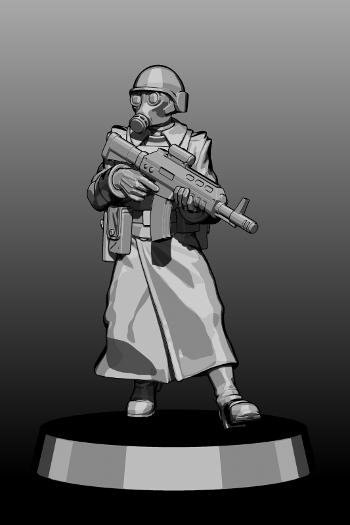 For those who want a more contemporary look, the Assault Rifle will be available as an optional weapon sprue. I still intend to produce a sprue of the Combi-Rifle but it needs a bit of a redesign. So let me know what you think, either in the comments below, on Facebook or via Twitter. And please, if you like them and want them, spread the word! 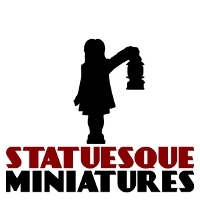 Remember, there is still a lot of work to do prior to the launch of this range and the best way you can help make it happen is to continue to buy from the Statuesque Miniatures range in the months to come. 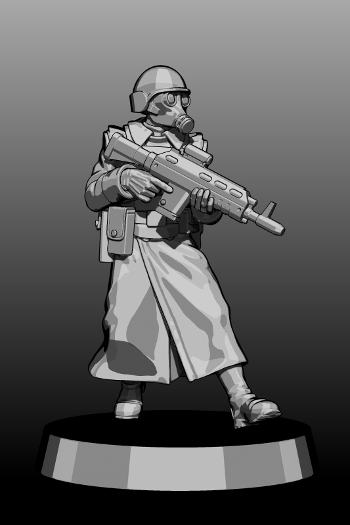 I'm still working on more figures for the Resistance Fighter range- there's lots still planned! Looking good Andrew,can't wait for some more figures!